St. John Lateran…pray for us? Today, November 9, is the feast of the dedication of the basilica of St. John Lateran in Rome. According to the breviary, the Church building was originally established by the emperor Constantine (though naturally there have been many additions and changes to the original structure over the course of the ages), and the memorial of its dedication has been celebrated on this date since the twelfth century. St. Peter’s is the only major basilica which is within the boundaries of the Vatican City State, and so is naturally the one most closely associated with the Holy Father in the popular Catholic imagination. 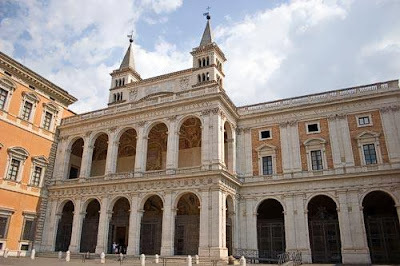 However, it is the basilica of St. John Lateran which is actually home to the Pope’s cathedra, or seat of Office. Since St. John Lateran is home to the cathedra of the bishop of Rome, it is therefore the cathedral Church of the diocese of Rome, and thus the Pope’s true cathedral. This is why the feast of the dedication of St. John Lateran is a feast for the Universal Church, and not just for one diocese (as would be the case for the anniversary of a normal diocesan cathedral’s dedication) or for one parish (as would be the case for an ordinary Church). 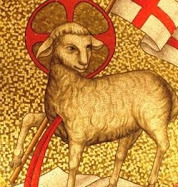 Back when I first became “liturgically aware” in a more serious adult way, I was often puzzled why the dedication of Churches would be commemorated with as much celebration as the feast days of saints. It seemed odd to me that an inanimate object like a building (let alone a chair, as in the Chair of Peter…) should have its own place on our calendar. How could mere bricks and mortar possibly compare with the glorious living witness of the saints and martyrs? Yet as I got older I realized that in our sacramental, incarnational faith, a Church building isn’t just about the architecture. As is evident in the prayers we use to dedicate it, and in the liturgy and scripture we use to commemorate the anniversary of its dedication, a Church structure is meant to point beyond itself towards the greater mystery of the Church. A physical Church building is “a house of prayer for all peoples” (Isaiah 56:7) which foreshadows the holy city of the new and heavenly Jerusalem. The feasts of the dedication of Churches also became especially meaningful to me once I began to approach my own consecration as a virgin. 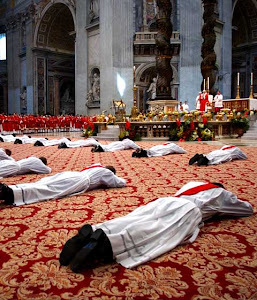 I started to notice the ways in which the rite for the dedication of Churches shared striking liturgical and theological parallels with the Rite of Consecrationto a Life of Virginity. In both these sacred rituals, the bishop as Christ’s representative sets apart and consecrates something (that is, either a building or a person) exclusively for God’s purposes. 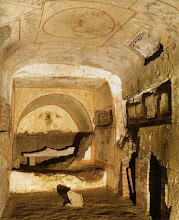 In being consecrated, both Churches and virgins become “sacred spaces,” and signs of God’s presence to the whole world. Like Church buildings, we consecrated virgins are called to be houses of prayer, a praise of the Lord, places of sacrifice though out continual and total gift of self, a “home” for God’s people, and a dwelling place for Christ. After Mass in the basilica for today’s feast! These prayers, which point to the mystery of the Church—first of all as the bride of Christ, as well as the holy city and the people of God—remind me of the way that we as consecrated virgins are also called to be incarnations this same mystery. It's nice to see you posting something!